A row has erupted over the controversial £240,000 art project on the River Ness getting the go ahead despite growing opposition – and an online petition signed by more than 1,000 people. 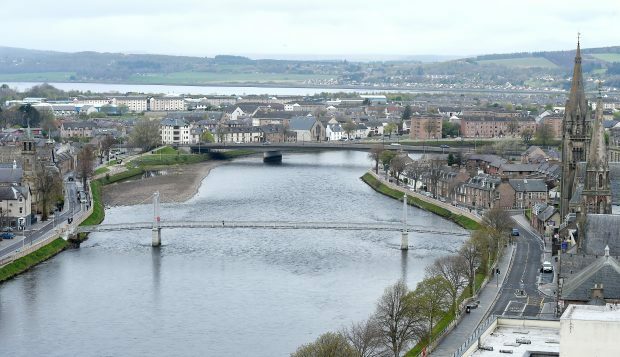 The My Ness scheme – described as being a gathering place at the heart of Inverness – has created a storm as it was approved by planning officials and not councillors. The development – which will be at the Little Isle Pool near Ness Islands – is the focal point of the River Ness Art Project, replacing the controversial “tilting pier” plan. A meeting of Ballifeary Community Council heard from Inverness City manager David Haas who insisted the project would go ahead as all planning rules were followed. The planning application was lodged on December 20 and people had until February 8 to object, but only five were made and these were after the deadline. Some community leaders are calling for the decision to now be taken before councillors. Anglers had also voiced concern about the fishermen’s hut which has been in the location for almost 100 years, but Inverness Angling Club has confirmed it is “satisfied with an agreement in principal” for a replacement. Councillor Bill Boyd is angry at the situation, saying: “This is in the face of growing continuing disquiet among some councillors, local residents, fishermen and visitors groups. “The decision to accept the application was made by officials in private using delegated powers. He said the work was to be carried out at a time “when the council is being forced to review expenditure on aspects of essential services such as primary and secondary education”. Helen Smith of Ballifeary Community Council has launched an online petition opposing the project which, as of yesterday, had attracted just over 1,000 signatures. A Highland Council spokeswoman said: “All agencies such as SEPA and the council’s own flood alleviation team were satisfied with the application. “This, coupled with the high-profile publicity given when the planning permission was applied for in December and the fact that community councils all have access to the weekly list of planning applications and noting that any issues had been resolved, allowed officers to exercise their power to approve without reference to the south planning applications committee.